If you are charged with Permitting Violation of Title under Section 1575 of the Pennsylvania Motor Vehicle Code, you should immediately contact a local traffic ticket defense attorney to discuss your case. Depending on the circumstances, you could be facing hefty fines and license suspensions. What are the penalties in PA for Permitting Violation of Title? The penalties you're facing for this offense can be severe and depend upon the violation committed by the driver. In most Permitting Violation of Title cases, the police officer charges a driver with Driving on a DUI Suspended or Non-DUI Suspended License, and then charges the vehicle owner for allowing the suspended driver to operate their car. Driver charged with Driving Without a License: You are facing a 6-month license suspension and a fine of up to $200 if the driver has a prior conviction for Driving Without a License within the last 5 years. What must be proven for a Permitting Violation of Title offense? Under Section 1575 of the Pennsylvania Motor Vehicle Code, the Commonwealth must prove that you authorized or knowingly permitted your vehicle to be driven in violation of the Vehicle Code. In essence, the Commonwealth must prove that you allowed another person to use your vehicle, knowing that the person would be violating the vehicle code. When the driver is charged with Driving on a Suspended License, the police officer may try to establish that you had knowledge of the driver's suspension and that allowed the suspended driver to operate your vehicle. Likewise, it is a defense to the charges that the suspended driver took your vehicle without your knowledge or permission. What should I do if I'm charged with Permitting Violation of Title? If charged with this offense, it's likely that your friend or loved one is also charged with Driving on a Suspended License. 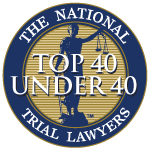 Due to the severe penalties that may apply, along with the possible conflicts of interest that may arise, you should retain your own Pittsburgh criminal defense and traffic ticket defense attorney to represent you. At the Zuckerman Law Firm, we have represented many individuals facing harsh consequences because an irresponsible family member drove their vehicle without a license. Our office will assist you in preparing a defense to the charges with the goal of negotiating a reduction or dismissal of this offense. Let us help you fight to save your license. For a free consultation with our dedicated traffic attorneys, please call 412-447-5580 today.